Motivational Speaker, Pauleanna Reid, hosts workshop to help women kick-start their fitness program and realize their health and wellness goals. TORONTO, ON (Sept. 16, 2012)—Motivational Speaker, Pauleanna Reid, & Wellness Advocate, Chivon John, taught 16 women how to build confidence, attack their dreams and reach for everything they deserve. The floor was opened up so women could share their deepest fears and discuss their goals in life. You could see the empowerment, support and love that was shared amongst them as they talked about their pains and struggles. Following this open floor, Pauleanna shared her own story about her battle with depression in her late teenage years and how she conquered the mental illness by transitioning all of her frustration into motivation. 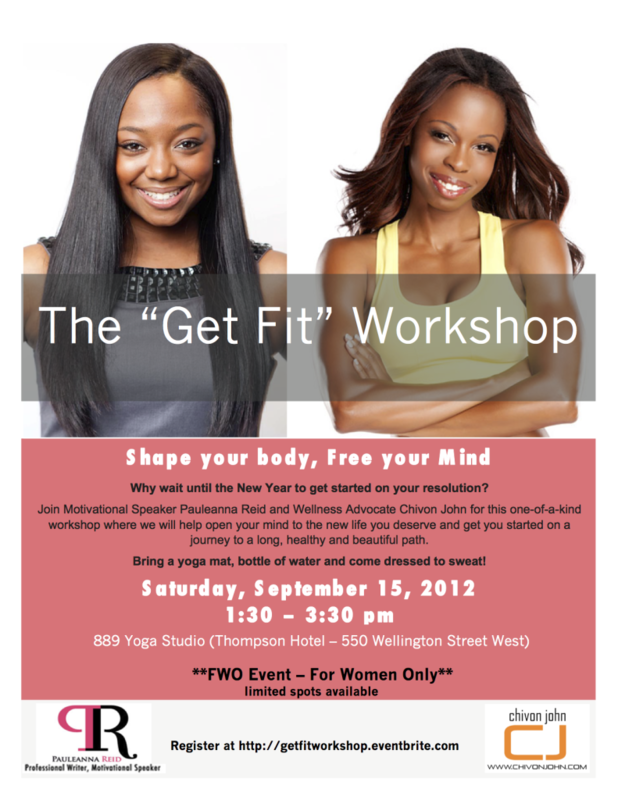 The workshop was sponsored by Vitamin Water and Titika Active Wear.